Satisfy your chocolate craving at one of these 15 spots in Dublin, Ohio. 1. Kilwins. Even just a sample of their handmade fudge is well worth a stop into Kilwin’s. 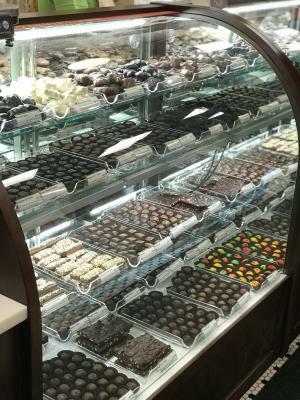 Nearly everything is made in their store including their famous fudge, caramel corn and assorted chocolate confections. Learn more about Kilwins and why we know you will love it here. 2. Our Cupcakery. Try one of their monthly specials or try your hand at their make your own cupcake bar with many toppings to choose from. There is certainly something for every chocolate lover at Our Cupcakery! 3. Winans. Looking for a bit of everything? Look no further. 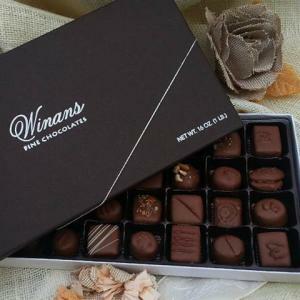 If you’re a chocolate lover of all kinds, Winan’s is your one stop shop for everything your heart desires – including a delicious cup of coffee to go with your favorite sweet treat. 4. Cap City. 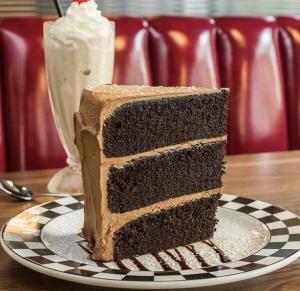 Enjoy dinner at Cap City and top it off with a piece of their “Seriously Big Chocolate Cake” – basically a chocolate lovers dream. 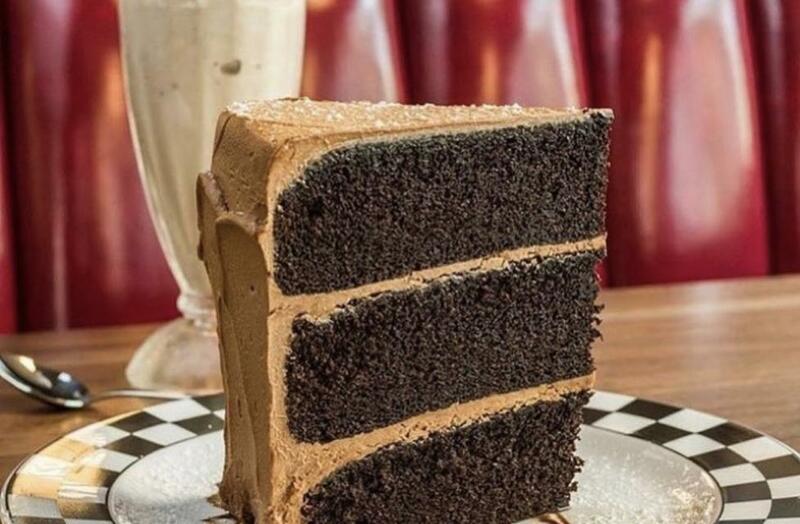 This three-layer slice of chocolate cake is rivaled only by the Chocolate Covered Peanut Butter Pie with it’s Oreo crust, Peanut butter mouse and chocolate ganache. 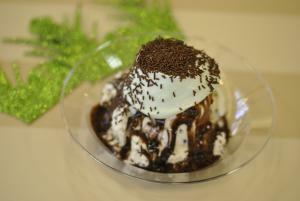 Chocolate connoisseurs will also be dying for a taste of their classic chocolate or buckeye milkshakes. Check out their full menu here. 5. Graeter’s Ice Cream. Virtually every flavor at Graeter’s incorporates chocolate somehow! Try their famous Black Raspberry Chocolate Chip or get a taste of the buckeye state with the Buckeye Chocolate Chip. 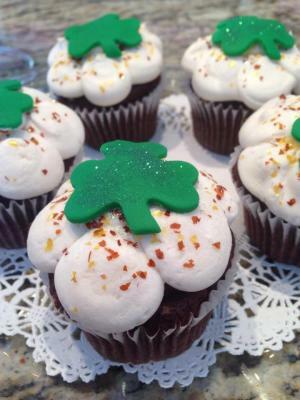 Want something with an Irish flair? 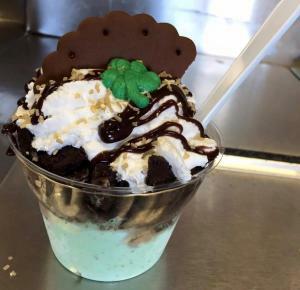 Fans of the mint & chocolate combo will love the Shamrock Sundae – only available at the Dublin location! 6. VASO Rooftop Lounge. 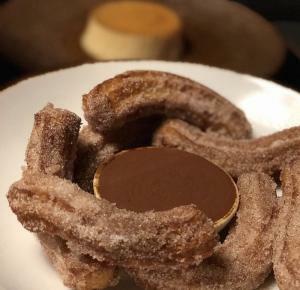 While you admire the views from VASO, enjoy an order of their churros to sweeten up your Brunch a bit. They come covered in cinnamon-sugar with a side of chocolate dipping sauce that will leave your sweet tooth feeling satisfied. See a photo tour of this unique lounge here. 7. Jeni’s Ice Cream. 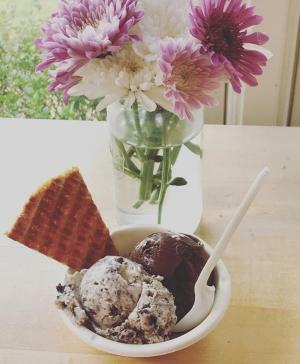 While Jeni’s offers some of the most eclectic flavors you could ever hope to try, their classic Dark Chocolate Truffle & Milkiest Chocolate are still an experience all on their own. Check out all their unique flavors here. 8. Giant Eagle Market District. Hosting a big party of chocolate lovers? Check out Market District to satisfy everyone’s sweet tooth with some of their Classic All Butter Cookies, Chocolate Chip Muffins or a cake to celebrate an occasion. 9. Johnson’s Real Ice Cream. After 4 generations of making ice cream, there is no doubt that the Johnson’s crew knows what they are doing. Those with a craving for some chocolate will love their Chocolate Fudge Brownie and Chocolate Chocolate Chip flavors. Looking for something a little less rich? Johnson’s has a flavor to satisfy just about every pallet. See which flavors are scooping at Johnson&apos;s, here. 10. Whole Foods. Don’t miss out on the Whole Foods bakery options for a little something to satisfy your chocolate craving. 11. The Morgan House. Stop by The Morgan House to explore over 18,000 square feet of shopping, including a whole room of unique, seasonal sweet treats! Their amazing selection of confections just one reason you will love Morgan House, for more of what you ought to know about this unique shopping destination, click here. 12. The Donut Experiment. The adventurous chocolate lover will be overjoyed at the options that The Donut Experiment offers! You can get exactly what you want here. 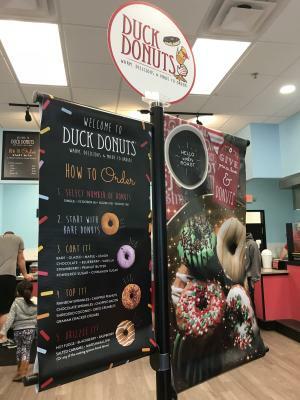 Their made to order set up allows you to top your cake donut with your choice of glazes, toppings and drizzles. For the chocolate, peanut butter, caramel lover (so basically everyone), you will love their Reese’s pieces donut with caramel glaze and peanut butter drizzle. Looking for something a bit more sweet? 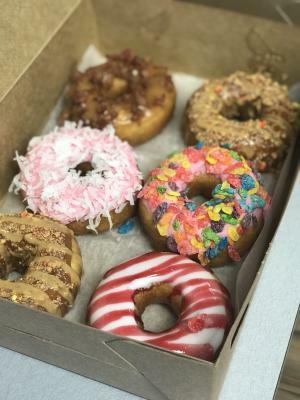 Try a fruity pebble donut! Check out all their flavors, toppings and drizzles here. 13. 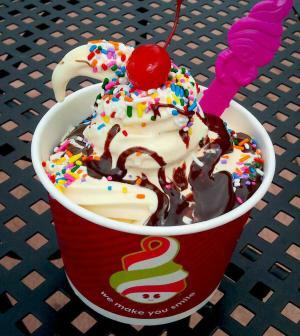 Menchie&apos;s Frozen Yogurt. Chocolate fro-yo, chocolate chips, chocolate bar toppings, chocolate sauce – you name it, you can top your masterpiece with it at Menchie&apos;s! Stop in to try your hand at filling their colorful bowls with something delicious. 14. Duck Donuts. Stop in to Duck Donuts to create your own chocolate-inspired masterpiece just for you or grab a full, assorted dozen to share the sweetness. 15. Anthony Thomas Chocolates. Originated right here in Central Ohio, Anthony Thomas really is a chocolate lovers dream. Stop in their Dublin location to try one of the best sellers like their Buckeyes, English Toffees or delicious Sea Salt Caramels covered in dark or milk chocolate. Check out all their sweet choices here.